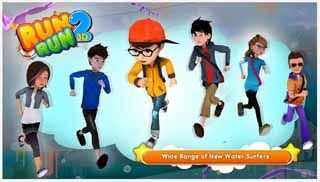 Free download RUN RUN 3D – 2 for Android with APK file. 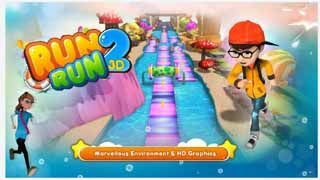 Download RUN RUN 3D – 2 new version from the direct link. Enjoy the new series of crazy RUN RUN game with new fantasy themes, 3D graphics and environments with amazing power ups and more powerful characters to unlock. FEEL the real HD water surfers and amazing game play. Join the ultimate run saga. Download RUN RUN 3D – 2 and Play your new “FREE” game on Android Google Play. Unlock new challenges and unlock new surfers with exciting features. Swipe your finger to jump.